Senior Vice President and Chief Law Enforcement Officer Tony Callisto announced new leadership roles within the Division of Campus Safety and Emergency Services. 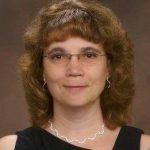 Following the December retirement of Dave Pajak, Michaele DeHart has been appointed as the interim director of risk management. 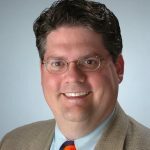 DeHart joined Syracuse University in 2003 as a risk management specialist and served most recently as the associate director of risk and insurance. Prior to joining the University, she was employed by Progressive Insurance, where she worked in personal lines claims. DeHart will be responsible for implementing an overall approach to risk financing based on the results of risk assessments, research and analysis of business processes around the organization. DeHart holds a bachelor’s degree from Syracuse University. Additionally, Seth Tucker has been appointed to the position of director, international and domestic travel safety and support. In this role, Tucker will inaugurate the University’s international and domestic travel safety program. Tucker returns to Syracuse University after spending the last five years serving the campus community of Onondaga Community College. There he held the title of vice president, campus life and safety, which included involvement with the Office of Residence Life, Auxiliary Services and Campus Safety and Security. Before leaving the University in 2011, Tucker was the special assistant to the senior vice president and dean of Student Affairs, as well as the director of crisis management. “Seth Tucker’s unique combination of crisis management experience, student affairs leadership, public safety oversight and international travel, as well as a master’s degree in international relations, will serve the University’s travelers well,” says Callisto. “We welcome him back from his time at Onondaga Community College and look forward to him rekindling campus relationships from his 20 years at Syracuse University,” he adds.